An elderly couple and a teen were killed in a car crash following a high-speed police chase near New York City. A 17-year-old driver, Nahriek Belford, crashed into another vehicle during the chase, killing a 74-year-old man and his 71-year-old wife, reported the New York Post on Feb. 9. The incident took place at 11:50 p.m. at Route 25 and Birchwood Park Drive in Middle Island, Long Island. 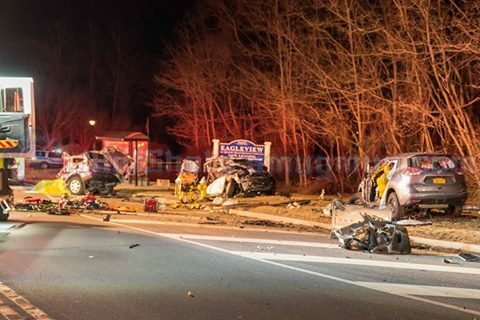 The 19-year-old passenger in Belford’s car, Angelo, also died, officials said.